Very clean home in a safe neighborhood located near Disney. The host responded quickly and answered any questions that I had. I would definitely recommend this home and I would stay here again with my family! Very good location in reference to amusement parks and airport. Would definitely recommend and use again. The suggestions to bring extra toilet paper and garbage bags was very useful. Everyone we spoke with was extremely friendly and helpful. The house fit 8 people very comfortably. Thank you. Very great place to stay in! Close to all the great attractions and it was very clean! We will definitely be back. We loved being close to all the Disney Parks but out of the traffic congestion right at Disney. Home was well stocked as far as kitchen appliances dishes, etc. 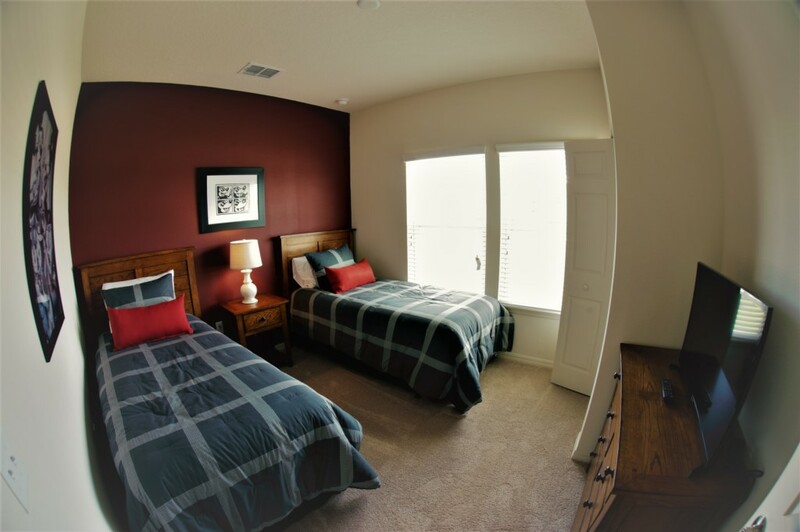 Loved having the 4 bedrooms with comfortable beds and 3 bathrooms. Washer and dryer was a nice perk. one note- they are remodeling the club house and no longer have a game room for children. We were told that they will be expanding the playground area in the future. We would definitely stay here again! The unit was in good condition and very clean when we arrived. We were down for a week long golf vacation and the unit suited our purposes perfectly. The whole gated community was very clean and well organized. We made good use of the hot tub, which was broken down for a couple of days, but was repaired relatively quickly which was appreciated as we used the hot tub on a daily basis after our rounds of golf. It is definitely a location that we would look to use again for future trips. Me chamo Thiago Donizeti de Araujo, aluguei uma casa no Lucaya Villlage. Mais uma vez, foi tudo ótimo, desde o atendimento para reserva da Ana Claudia até o final da nossa estadia na casa. Já disse diversas para a Ana Cláudia, e continuarei repetindo, minhas estadias e de meus familiares em Orlando são apenas com a FidelityVH, não troco por nada. Casas sempre limpas, arrumadas, novas e com tudo funcionando. E ano que vem, se deus permitir, estaremos em Orlando em umas das casas da Fidelity.